TFund is something like a pre-order system. Ordering shirts in bulk gets the price down, and with 20 shirts the price ends up being $16.95 and I manage to find 4 or 5 bucks per shirt left over. I am hoping with this bit left over, should all 20 sell, that I can look into getting a local T-shirt company to work with me and start producing cool gaming shirts. 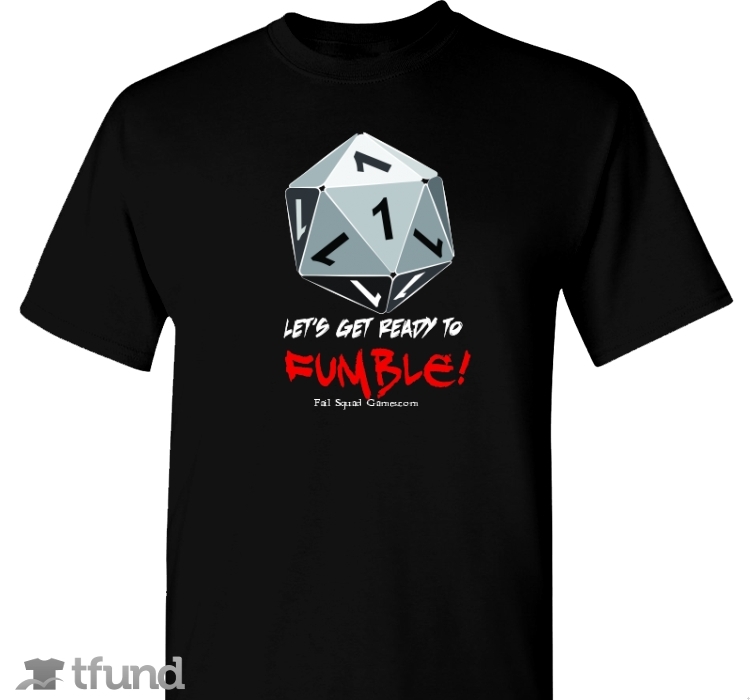 Really this is just a way to offer the Let’s Get Ready to Fumble shirts for a reasonable price to anyone who wants one. Everyone really likes the all 1’s D20. I have one on right now, and it is pretty cool. Hop on the TFund today. It ends August 10 2015.